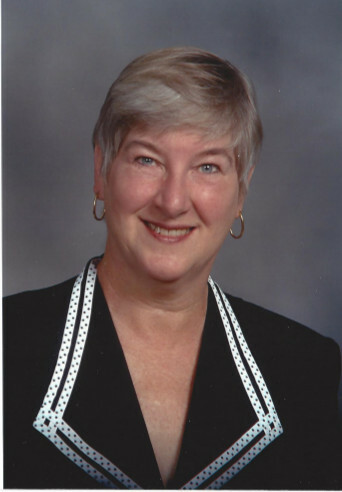 Memorial Services for Sharon L. Klein, 75, Norfolk, will be 2:30 p.m., Wednesday, April 3, 2019 at Our Savior Lutheran Church in Norfolk. Reverend Ryan Taylor will officiate. Visitation with family will be 4:00 to 7:00 p.m., Tuesday at Home for Funerals Chapel, 708 Georgia Avenue. She left us peacefully on Saturday, March 30, 2019, surrounded by loving family, at the Heritage of Bel-Air in Norfolk. A military baby born in Decatur, Alabama, on February 8, 1944, she spent her childhood in Tilden, Nebraska. She graduated top of her class in 1962 and earned a Regents Scholarship to the University of Nebraska - Lincoln. After graduating with majors in English and History, she began in Tilden what would be a 20-year English-teaching career. She retired from the school system in 1988, with her last years at Battle Creek High School. She impacted hundreds of students over the years, and was particularly fond of stories from her younger siblings and their spouses who weren’t given any special treatment for her high expectations. Following her years in education, she worked for more than 15 years at the US Postal Service. Sharon and her husband Lee were married on November 28, 1969 and raised their daughters in Battle Creek. Sharon was a dedicated wife, proud mother, and loving grandmother. She had a kind heart and beautiful smile, and had a life-long love affair with books and reading. She also never lost that English-teacher passion, demonstrating no hesitation on correcting improper grammar. And we loved her for it. She will be sorely missed by her family and friends. She is survived by her husband, Lee, daughter Courtney and husband Nick Dentlinger of Norfolk and daughter Angie Klein of New York, NY, grandchildren Adriana, Blake, Maddux and Kiersten, siblings Sue Kleider and husband Dennis of Omaha, George Fox and friend Peggy Congleton of Tilden, Jim Fox and wife Mary, Laura Rutjens and husband Don, Marilyn Eymann and husband Ron, all of Tilden, Don Fox and wife Ann, Richard Fox and wife Joann, and Karolyn Noughton and husband Larry, all of the Ft. Myers, FL area. Sharon was preceded in death by her parents, George and Barbara Fox. Memorials suggested to the Tilden or Battle Creek Public Libraries.